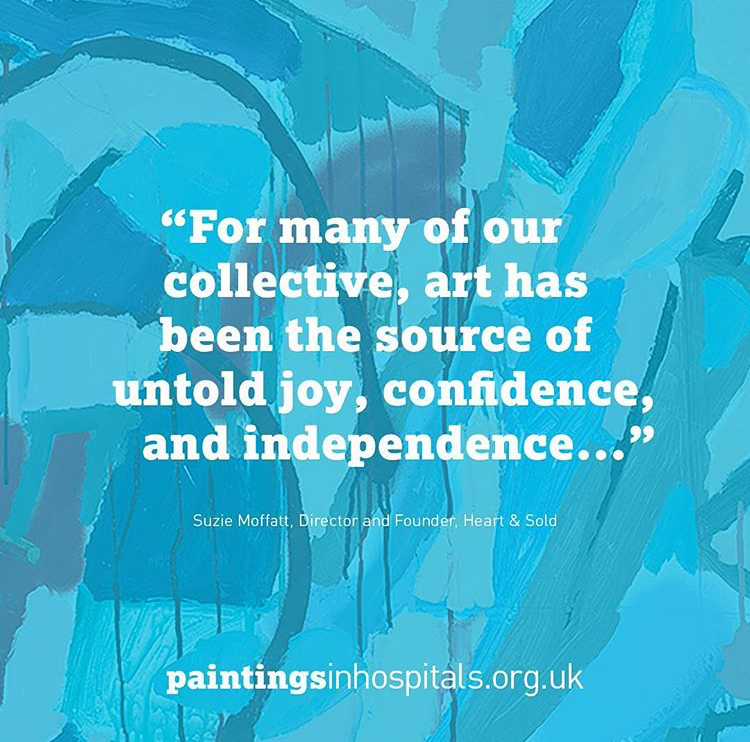 This Down syndrome day we celebrated with a blog from our founder Suzie Moffat, who was asked to write a piece for respected organisation, Paintings in Hospitals, who are celebrating 60 years of bringing art, with all its therapeutic benefits, into health care settings. Suzie shares her reasons for starting Heart & Sold and how creating her own art helped her through recent treatment for breast cancer. Massive thanks too to Karen, mum of abstract painter, Charlie French, who has so generously shared Charlie’s most personal artistic journey.